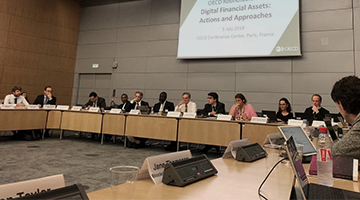 Two of our guest speakers on the Online Oxford Programmes, Loretta Joseph and Greg Medcraft, convened a fascinating group at the OECD in early July to discuss challenges and opportunities on the international stage with respect to blockchain. The first objection we would expect is “why does blockchain need to be regulated?” and the answer is of course “it does not” on the one hand, and it’s already being exposed to regulatory intervention on the other. What the OECD forum is providing is an opportunity for industry, nonprofit, academia, and regulators to come together for a more intelligent and harmonized approach, rather than our current confusing patchwork of opinion, temporary solutions, and more significant structural frameworks. Respecting the Chatham House Rule, I will share a selection of the high-level concepts discussed in the room without attribution. 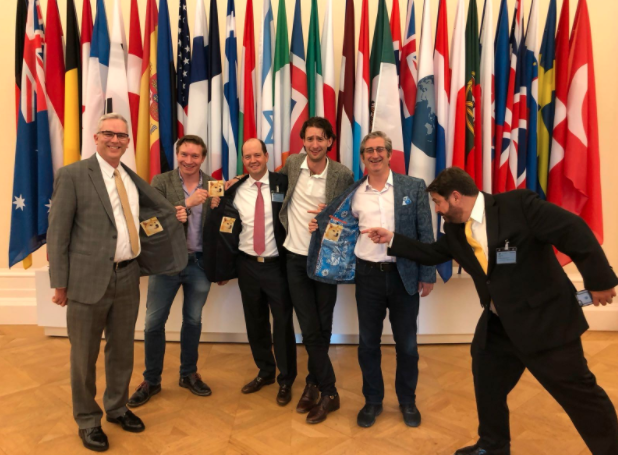 Our discussion incorporated an array of central banks, regulators, intergovernmental bodies, blockchain enthusiasts and coders, and more established blockchain organisations and trade groups. Some compared the blockchain discussion to the means by which correspondent banking was introduced and regulated. The goal is to generate a shared rulebook, more governed by sound principles (such as protection of consumer rights and establishment of common standards) than an effort to proscribe every aspect of behaviour and every use case. Even the definition of “token” itself is yet to be standardised, so the need for standards is becoming increasingly poignant. Of the G20, there is massive heterogeneity in how they are approaching blockchain and cryptocurrency, from outright bans (20%) to new regulation (more than 50%). Interoperability becomes more and more important as we see both regulation and technology proliferate. We heard a desire to establish a practical framework for thinking, rather than cut-and-paste of existing regulation applied to traditional financial assets, and bearing in mind the need for investor protections. In particular, with respect to Initial Coin Offerings (ICO’s), we also heard a clear sense that this is an exciting new mode of capital formation and the regulators do not want to inhibit the ability to fund innovation outside of traditional clusters. Many in the room expressed that the poor and the dispossessed could benefit from certain applications of blockchain, and a desire to create an environment that promotes that. Digital identity, particularly self-sovereign digital identity, can bring a billion people into the identity system if deployed across the right type of blockchain and enhanced with multimodal nextgen biometrics. It was also noted that AML/KYC was a nightmare before bitcoin and blockchain emerged, so they introduce no particularly worse complexities to the problem. In some applications for AML/KYC, in fact, such as biometric self-sovereign identity, blockchain may provide for a significant advancement in quality and nature of solutions. The question of level playing field emerged repeatedly throughout the day. “Are regulators creating an uneven playing field between innovators and incumbents?” accompanied by an exhortation that we do what we can to prevent this. On the issue of digital currency, one speaker hearkened to Dostoeyevsky “Money is minted freedom” and while it is unclear if private currency can compete with official currency, we don’t want to inhibit the new possibilities it offers, such as improved financial inclusion, reduced senoirage, and improved audit. Doge made a few appearances, inevitably. I will single out one domicile since it’s public knowledge: Bermuda has done an admirable job under the leadership of Premier David Burt and Minister Wayne Gaines to articulate a cogent, progressive framework supporting fintech and blockchain that nourishes innovation while remaining adherent to European AML/KYC standards. Shyft has jumped in with $10 million of support for education and training. Check it out. Mauritius is also in process of making a strong stand on innovation. I find it curious how the island nations have been making such progress versus the more deliberate approaches of the G20, and wonder when the UK consultation processes will wind to conclusion. Our advice ultimately is to apply a light touch and tread with caution about over-regulating and destroying innovation. 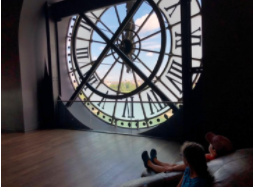 The OECD will press forward with this important work in the fall and beyond, with additional consultations and roundtables as it seeks to coordinate international action – even a hackathon scheduled for early September. Should be interesting to see what comes out of the process. I am involved with a number of government and private company activities in these areas. My portfolio is listed at www.VisionaryFuture.com. The views expressed in this column are those of David Shrier, and may not reflect those of Saïd Business School, University of Oxford or its faculty. Develop a sound understanding of blockchain technology and the regulations surrounding it with with an online programme designed by global thought leaders and industry experts.